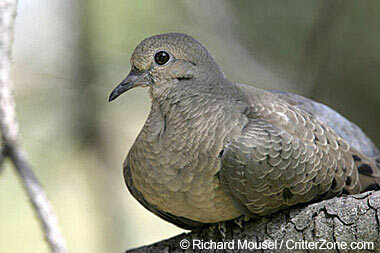 Mourning dove photo © Richard Mousel / CritterZone: Animal - Wildlife - Nature Stock Photography (all rights reserved; used by permission). 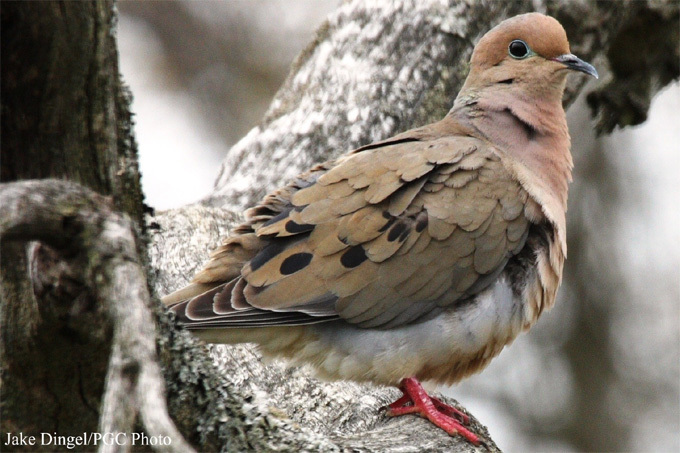 Wisconsin designated the lovely mourning dove (Zenaidura macroura corolinensis linnaus) as the official state symbol of peace in 1971 (the American robin is Wisconsin's state bird). Mourning dove photo by Jake Dingel / PA Game Commission Photo Library: Mourning Dove (image may be used for educational and non-commercial purposes with attribution).